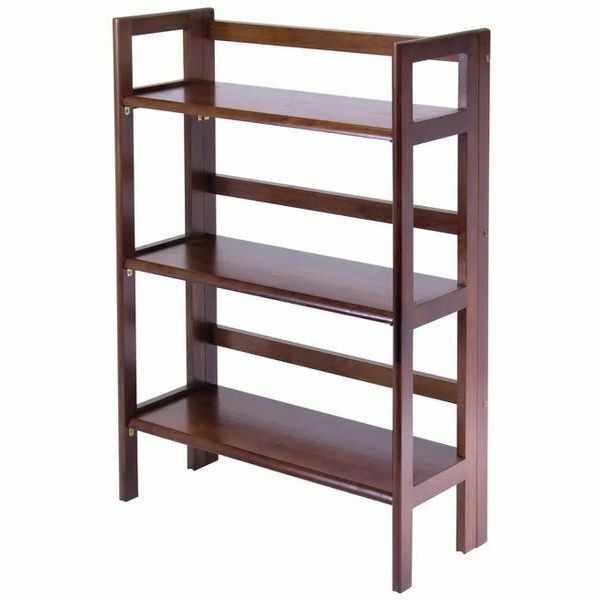 This exquisitely designed Chinese styled folding bookcase will bring an air of the exotic Orient to any room in your home. Its unique folding construction will not only maximize space capacity, but will store your books, knick knacks, and keepsakes with stylish, efficient, ease. Best of all, no assembly is required! The Winsome Wood features 4 sturdy, reliable, shelves which will hold all of your items with remarkable efficiency and ease. Best of all, the entire unit folds up and carries easily from room to room in your home. Classic Asian simplicity meets sturdy Western efficiency in this excellent new design. This elegant step ladder styled model combines sturdy, reliable functionality with a bit of Modernist whimsy in its unique, award winning, design. It will confidently display all of your knickknacks and awards, and function equally well as a vase or even temporary food or drink holder. Best of all, when you’re finished with it, it folds down to a mere 3 1/4 inches! 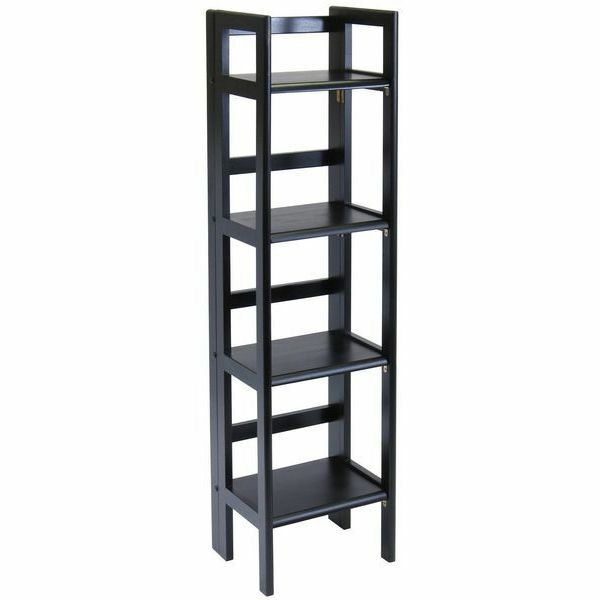 This excellent folding Winsome Wood model comes with 3 fully adjustable shelves, and is topped off with a smartly styled industrial black finish for a look that combines businesslike efficiency with homespun grace. Perfect for your home office or personal space at work. 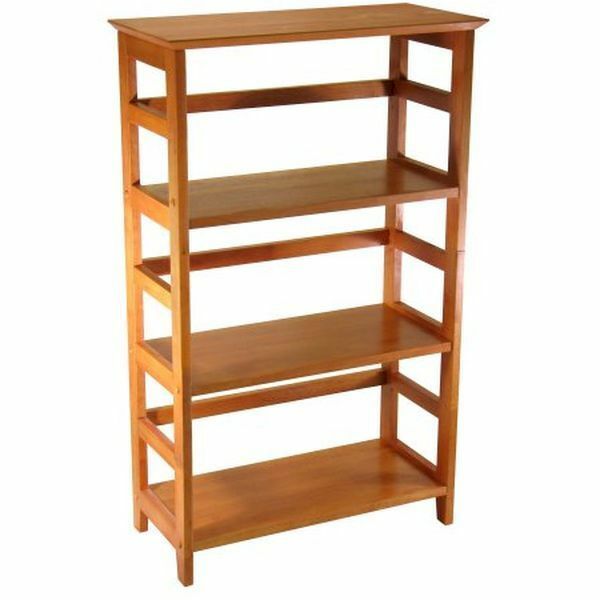 This classic travel sized folding bookcase is crafted of top quality beech wood, and is fully foldable for storage and carrying. Perfect addition for your home office or personal work space. 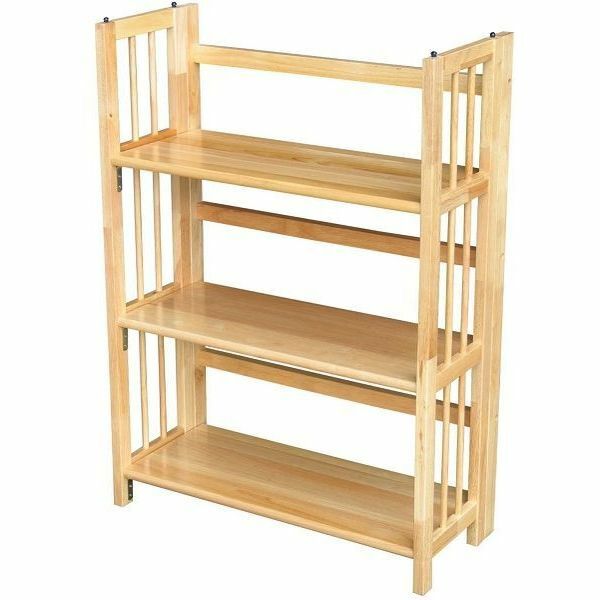 Three sturdily crafted shelves, with the unit itself being both foldable and stackable. Some assembly required. 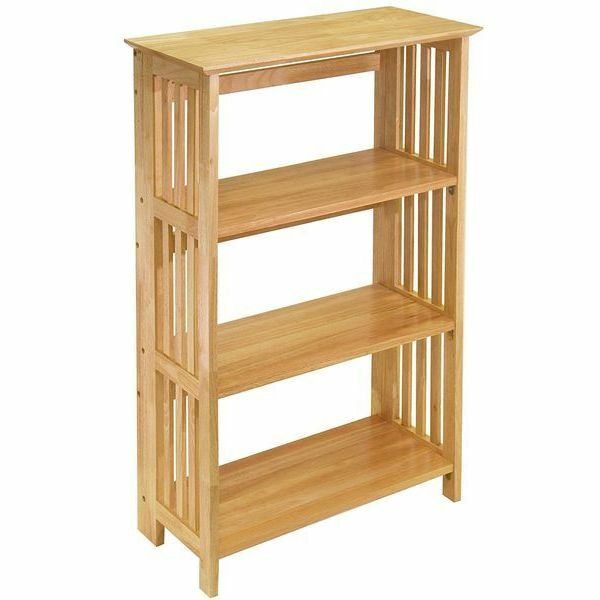 The Winsome Wood 4-tier bookshelf model comes with an exquisite honey finish which adds a bit of warmth and comfort to your home office or personal work space. 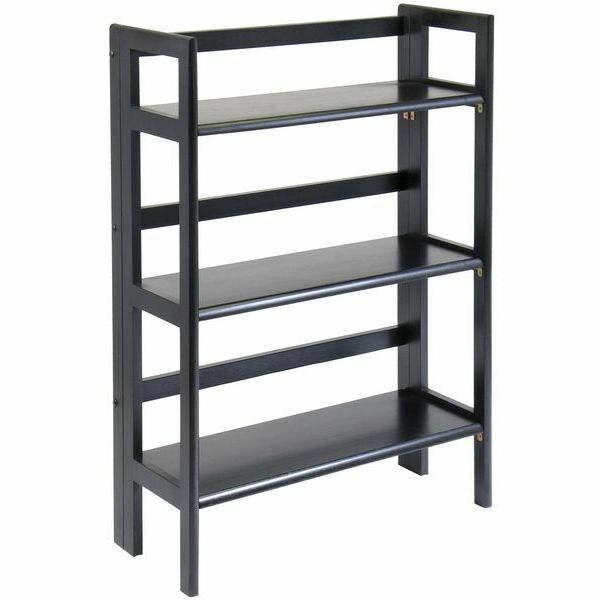 Its uniquely styled 4-tier shelf construction maximizes your storage capacity while taking up very little space. It folds down for carrying or storage. Some assembly required.